Trust your dryer to do its job right with the IntelliDry® sensor. The sensor continuously monitors moisture and heat levels to minimize overdrying. It automatically stops the cycle at the right time so your clothes will come out perfectly dry. Don't let wrinkles cramp your style. With the Wrinkle Prevent option, the dryer keeps clothes tumbling after the cycle has ended. A fine mist of water combines with heat to create bursts of steam that help reduce wrinkles. RAPID DRY CYCLE - Waiting for the dryer is no fun. 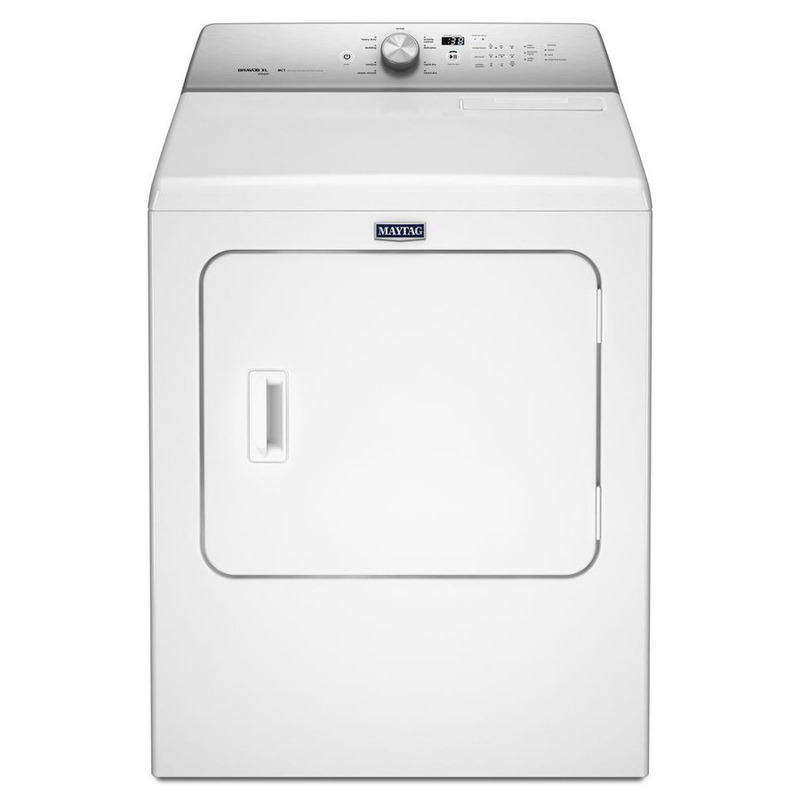 Get small loads like that must-have outfit dry quickly with the Rapid Dry cycle on Maytag® top load dryers. With the Static Reduce option you can make sure you won't get stuck on static cling. A fine mist of water is sprayed onto clothes as they tumble at the end of the cycle to cut down on static and send you out the door looking your best.